develop applications of our imaging instrumentation expertise to a broad range of disciplines and industries including making economic and societal impacts. 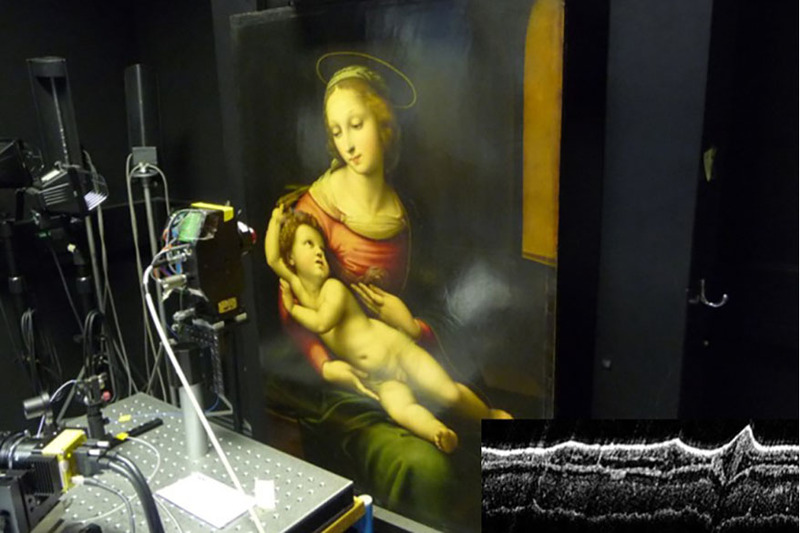 Our work on advanced optical imaging and remote sensing applied to cultural heritage in solving conservation, art history and archaeology problems for museums and cultural heritage institutes is internationally recognised as leading the field. We are unique in developing advanced non-invasive imaging systems that are not only novel in optical and remote sensing instrumentation but also novel in applications to cultural heritage. Consequently, the instruments we develop are in demand in a variety of industries. We have collaborated closely with all major cultural heritage institutes in the UK and many institutions internationally. We are engaged in the preparatory phase for the European Research Infrastructure for Heritage Science (E-RIHS) which was put on the European Roadmap in 2016. The European-wide project will see different platforms supporting the new research infrastructure, which include mobile laboratories, fixed laboratories, digital and archival facilities. NTU's ISAAC mobile laboratory provision will contribute to E-RIHS both on the European and UK front. Our archaeology, art history and conservation related projects take the research team across the globe, to galleries, museums and heritage sites. We have worked on a number of projects at internationally-renowned sites, from our European projects at the V&A, the Louvre in Paris and Fondation Beyeler, Switzerland, to American sites such as the Brooklyn Museum and the Getty Conservation Institution (GCI) in LA. We have also visited several sites throughout China, such as the Shaan Xi History Museum, the Dunhuang Research Academy and the National Museum of China in Beijing. Visit our Projects page for more information on our work. ISAAC members will contribute to 14 presentation at the Global Heritage: Science, Management and Development Research Theme showcase event on 18th May 2018. ISAAC Mobile lab provided access to the Abbey Library of Saint Gall in Switzerland (part of a UNESCO world heritage site together with Abbey of St Gall) to image a medieval manuscript of astronomical interest. This trip was funded by the Centre for Theoretical Astrophysics and Cosmology, University of Zurich. MSci Physics student Luke Butler assisted Professor Haida Liang on the data gathering at the end of May 2018. In March 2018, Professor Haida Liang and Dr Sotiria Kogou took the ISAAC mobile lab to the Museum of International Folk Art (MIOF) in Santa Fe and the Getty Conservation Institute to study a collection of Chinese export paintings of Peruvian subjects at MOIFA and paintings of similar subject matter attributed to the Peruvian artist Pancho Fierro in the Getty collection. This is a collaboration with the Getty Conservation Institute, MOIFA and the Museums of New Mexico-Conservation unit. 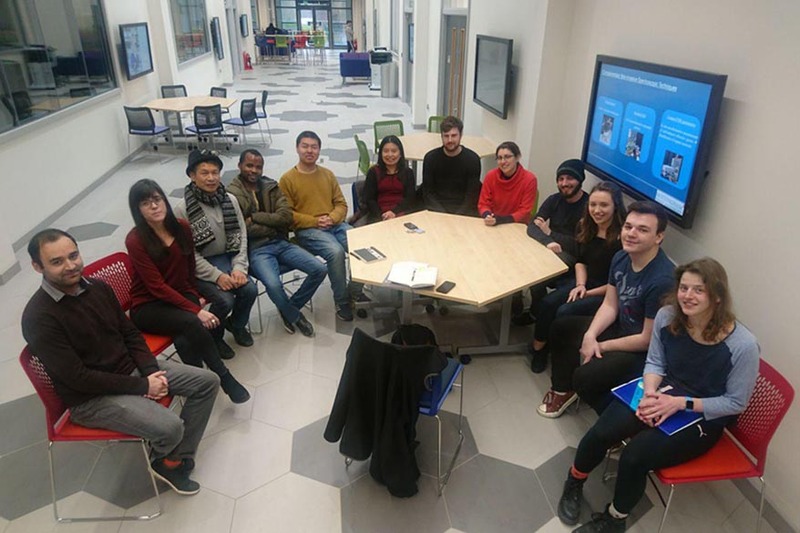 Professor Haida Liang, Dr Sammy Cheung and Dr Natasha Hodgson (NTU, Medieval History) visited University of Canterbury in Christchurch (UCC), New Zealand for the Canterbury Roll Project. 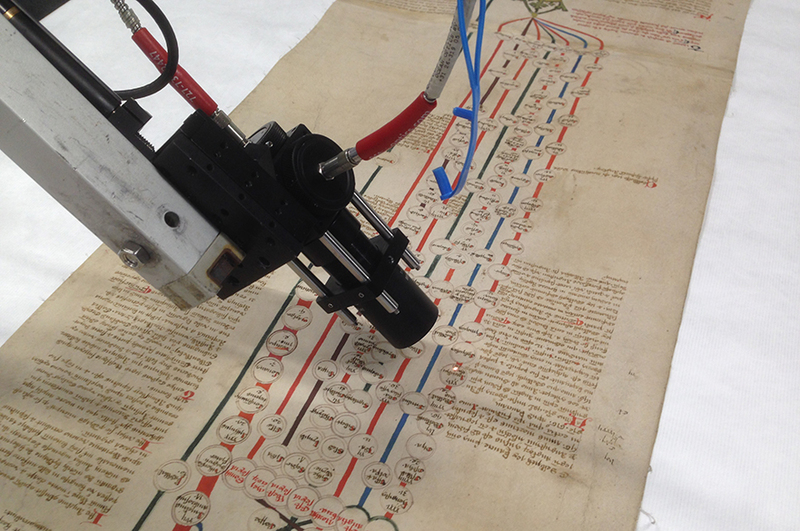 Access to the ISAAC mobile lab was provided to UCC as a collaborative project to examine the Canterbury Roll, the only medieval manuscript in New Zealand. The visit was broadcasted on TVNZ 6 News on the 8th Jan 2018.